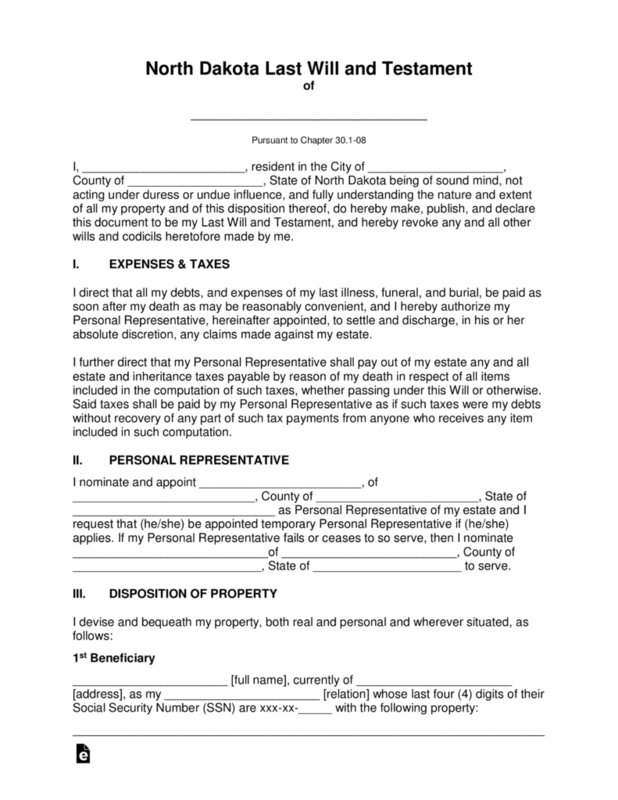 The North Dakota last will and testament is a document that is written by a testator to provide proper instruction with regard to how the testator would wish to have their estate distributed upon their death. 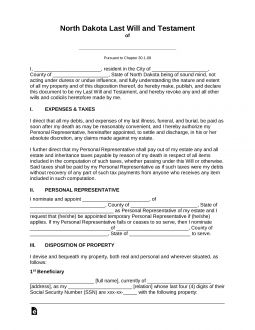 The document will set forth specific instructions to their chosen executor as to when and how distribution of the estate must take place. Generally, the document will first address what is to be distributed to spouse and children to ensure continued protection to the family. As well, it will provide instructions about what is to be bequeathed to friends, favorite institutions and/or charities among other possible beneficiaries. Some distributions may be fiduciary assets, personal and real property, and other possibilities. The document may be revoked or changed at any time. Signing (30.1-08-02. (2-502)) – Signed by the Testator and at least Two (2) individual Witnesses. Step 7 – Notarization – The remainder of the document will be completed by the notary as required after witnessing signatures.